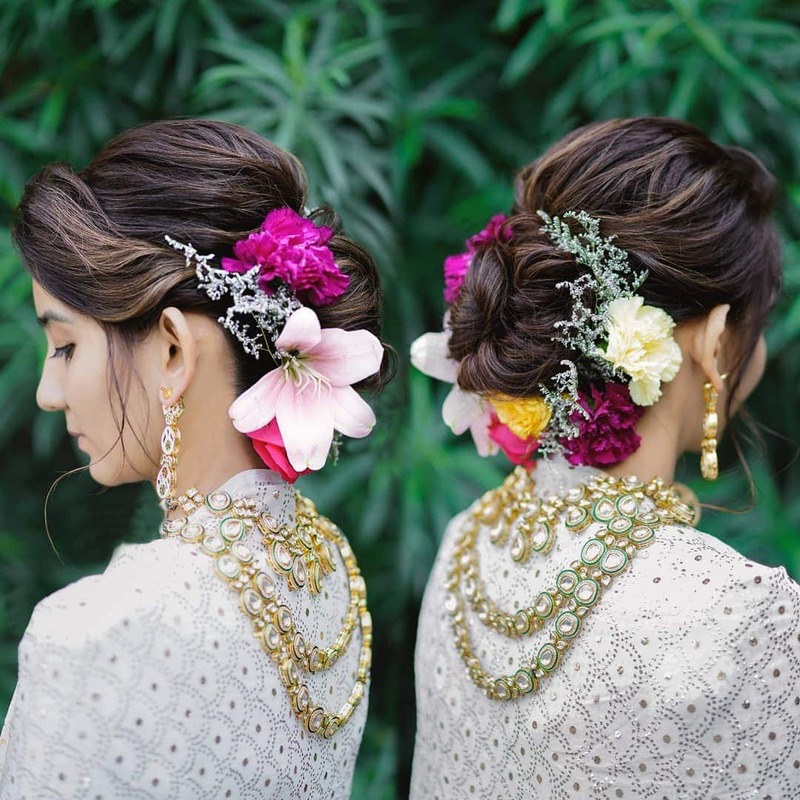 Whilst it is the season of clean skin and wash and go, this is the time to understand what bridal beauty trends you should opt to look trendy effortlessly and what can make you look out of style. 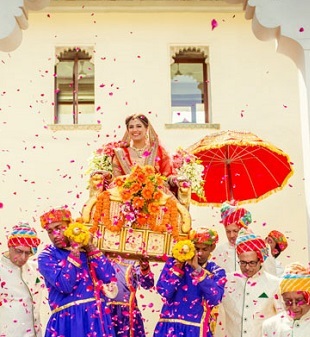 So, all the brides to be out there, instead of blindly following the outdated trends, here are the latest Bridal beauty trends that are ruling in the Indian Wedding. Glossy lips are the season’s biggest trend and you must not miss on that. With the return of glossy lipsticks in the makeup kit, choose the shades like dark ruby, wine, burgundy for nailing the look. 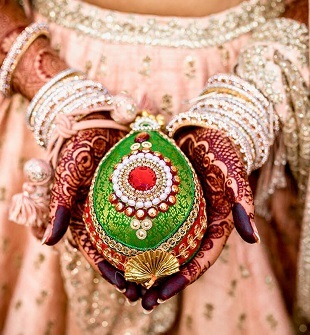 This is one of the Bridal beauty trends ruling in the Indian Wedding. Another Bridal Beauty trend is the Metallic eye liner which is the talk of the town. It will not be wrong to say that the 90s trends are back again. Go for shimmer and metallic eye liners which can accentuate your eyes. Ladies, don’t miss this one. This adds an extra glamour quotient to your eyes. Use Your hands to blend and smudge the shadow. Add bold and glitzy hues like gunmetal or greasy black for the edgier smokey eyes. This season is about textured eyebrows. Textured eyebrows imply soft shaped brows without arches and building depth within the brows but at the same time retaining its natural look. It is not dramatic and makes you look younger. 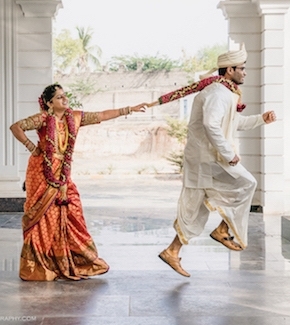 Well, this is a must for you brides. Yellow-Golden highlights is a rage this season. Use a bright gold highlighter to illuminate the high points of your face. Another trend of the season and must follow one thing for the brides to be is super long eye lashes like that of a doll. This will adda dramatic effect and make your eyes appear bigger and beautiful. 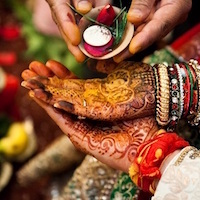 Brides to be, all eyes will be on you on your Big Day. So, choose aptly and one of your choices should be natural makeup. You don’t want to look all artificial. Showcase your beauty using natural invisible makeup. Excessive contouring is out and adding softer definition to the face through strobing is in. This does not involve making your face sheer mess by using products all over your face. But it involves highlighting some of the features like cheekbones, mid nose and illuminating it. Make-up takes the centrestage but the small details like nails can change the overall game of the beauty. Add some hues like bronze, silver and golden and you are ready to nail this season. Add a touch of floral on your hairstyles. Try a variety of buns including messy bun and accessorize it with colourful flowers, be it roses or lilies. You can outline the bun with flowers or use flowers on the sides of the bun. It will definitely add princess effect.